The type of method you use will depend on the size of your grow. If you are using a small closet or single room you will probably be using a batch method. 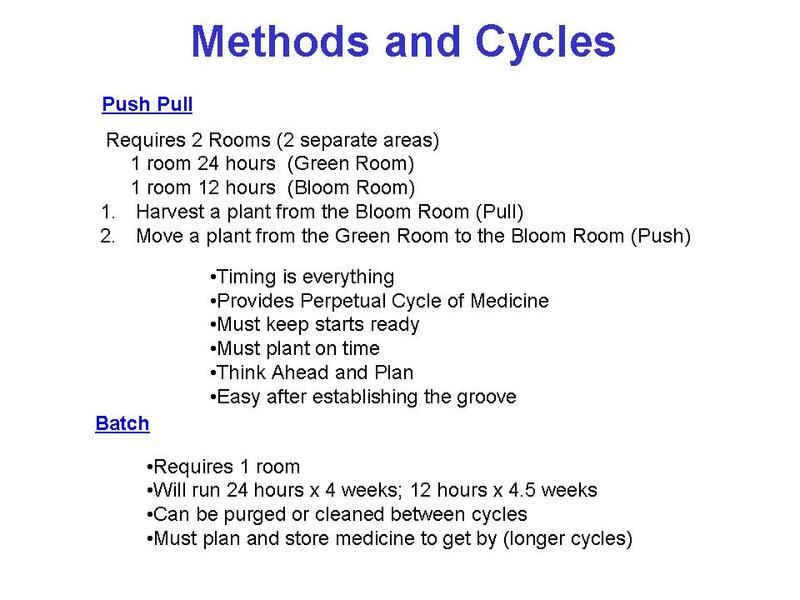 The batch method utilizes the same room for both vegetation and blooming. If you have the room you should use the push/pull method. The advantage is a perpetual supply of medicine. We find that a group of 4 patients can be the most efficient and cost effective.